As a child of the early 1970s, Star Wars was as important to my imagination as Cowboys and Indians were to my father. I dreamt of flying spaceships, wielding lightsabers, and moving things with my mind. When the neighborhood children and I assembled to play Star Wars, there was always contention over who would be Luke—everyone wanted to be Luke. While they each presented their most convincing argument for why they were the best candidate for the job, I gladly dibs-ed Han Solo. “Let them fight over that whiny farm-boy. I know who the real hero is,” I’d think to myself. Not only was he handsome, smooth and brave, but Han flew the coolest ship ever known to man and had a built-in best friend with Chewbacca. Double win! I mention this because, when I heard about the development of a new Star Wars story focused solely on the early years of my favorite scoundrel, I was immediately gleeful — and immediately worried. Darth Vader’s back-story didn’t turn out so well (I’ve come to terms with it, though after years of group therapy and private prayer). 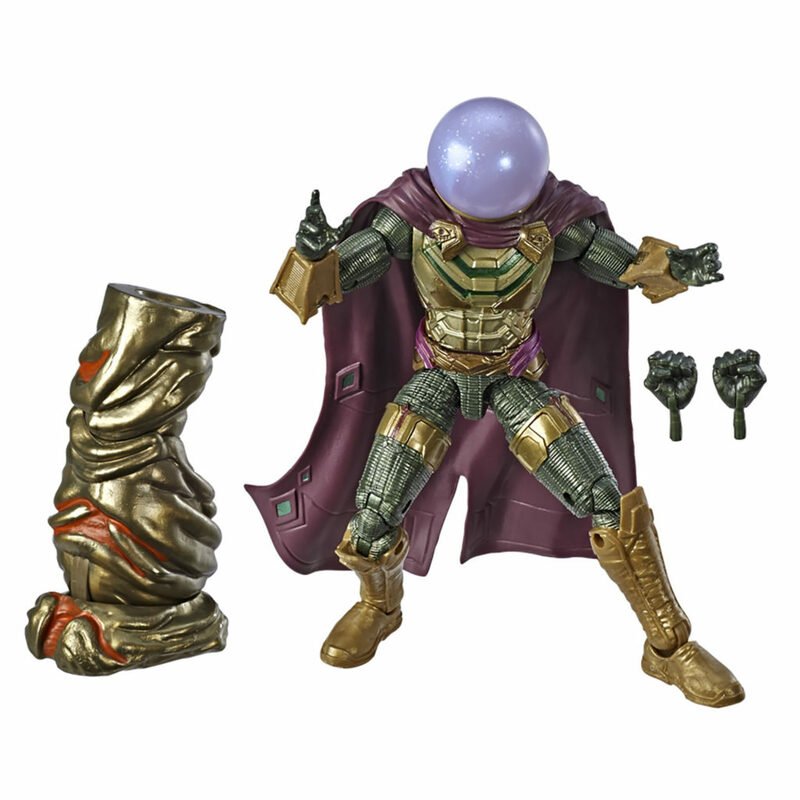 Would they do the same thing to my number one go-to for street costuming? Would I be screaming from the rooftops “You ruined my childhood!”? 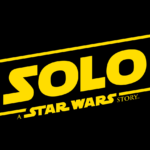 So I have been very cautious about showing excitement for the Memorial Day 2018 release of Solo: A Star Wars Story, going so far as saying, “I’ll see it, but I’m not so sure I’ll be first in line.” Well, after this morning’s fully fleshed out trailer for the movie (finally!) I can say this: Caution? Meet wind! Any reservations I may have previously exhibited were a waste of by time. From the first scenes, we get thrown right into the world of Han Solo. Narrating it himself, Han lets us know that he’s been pulling street scams since he was 10. He suggests that the timing of the film happens after he’s been tossed out of the Imperial Academy for doing things his own way, all while seeing classic Han Solo stunts. 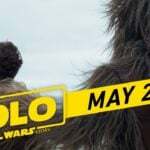 After Woody Harrelson’s Tobias Beckett (the most un-Star Wars name I’ve ever seen) declares that he’s putting together a crew, we are introduced to multiple characters that will populate the bulk of the film, and the depths of fan happiness continues to expand as it becomes obvious that shots of Lando, Chewbacca and the Falcon will not just be dropped in as shout-outs or easter eggs, but rather will be integral parts of the movie! Multiple shots from the movie continue to reveal more characters, scum and villainy, exotic locales throughout the Star Wars universe (Snow! Space! Dusty places!) and many opportunities for Imperial conflict. Two things about the trailer stand out. 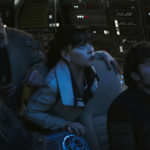 Towards the end of the piece, Qi’ra tells Han, “I might be the only person who knows what you really are,” suggesting a deep and complex connection to Han that may even pre-date his friendship with Chewie. Is she a romantic interest? Is it possible for Han to be anything but? This quote alone is enough for me to be excited about the tone and direction of the film. And then we get to see one more that puts my mind right back into the body of my six-year-old self: the craziest Falcon battle acrobatics that I’ve ever seen! In the middle of a high speed escape from an Imperial fleet, Han flips the Falcon over and smashes a Tie-Fighter and then flies away. I thought we’d seen the coolest Falcon feat ever when Daisy Ridley’s Rey somersaulted the Falcon into a stall, giving Finn a clear shot at a Tie in the opening scenes of The Force Awakens, but this preview reminds us that we haven’t seen nothin’ yet! The Falcon, like Han, Chewie and Lando, remains a character unto itself with many secrets to reveal. Without a doubt, this film is going to be exactly what fans are expecting. 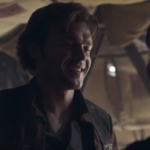 The careful stewardship that Disney has shown with its acquisition of Lucasfilm, as well as their oversight of multiple directors during the production of Solo, combined with this wonderful trailer, only confirms that in my mind.